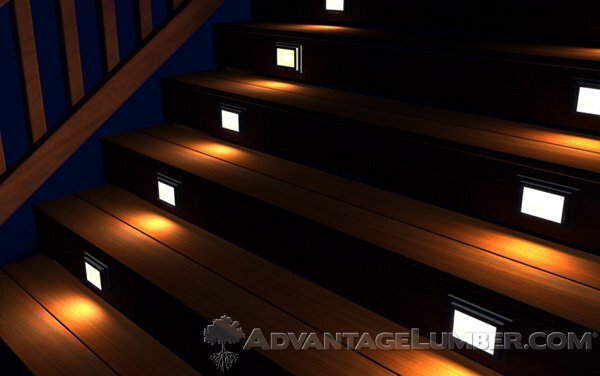 Recessed deck lighting is a great addition to a stair case. Whether you want to illuminate your deck, stairs, doorways, or pathways, recessed lighting is the perfect choice. Recessed light fixtures add the perfect touch to you outdoor setting. Not only are they easy on your eyes, but the light it gives will provide you with a sense of safety. You can rest assured that recessed light fixtures will not become a trip hazard since they do not protrude outwards. Recessed light fixtures tend to be more expensive than mounted lights. But the chic and modern look you will get is undeniably worth it. Recessed fixtures can be covered by falling leaves and debris but are easily swept away. Recessed deck lighting packages have easy to follow instructions. Whether you want to do it yourself or hire a professional, recessed deck lighting is easy to install. There are several types of recessed light fixtures on the market, including solar-powered, low voltage and line voltage. Recessed light fixtures are available with incandescent bulbs or LED bulbs. Recessed lighting comes in many different shapes and sizes to accommodate any style. The shapes available are oval, round, square and rectangular. Whatever the style of your outdoor space is, recessed lighting can make your backyard stand out from the rest. 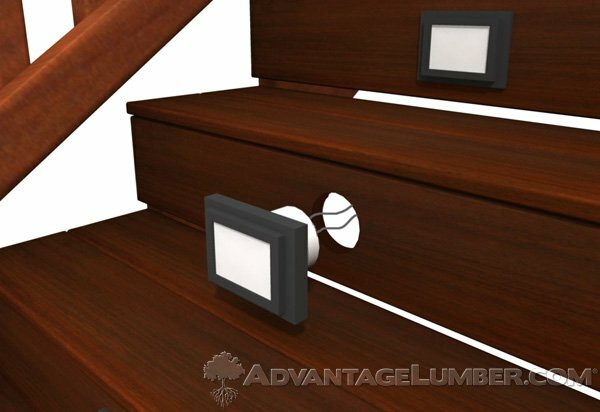 Order your recessed deck lighting today from AdvantageLumber.com. This entry was posted in Deck Lighting, Decking Installation, How-to Build and tagged deck lighting, deck lights, receessed lighting on August 5, 2013 by Mr. Ipe Hardwood.